Preparation Time 10 min. 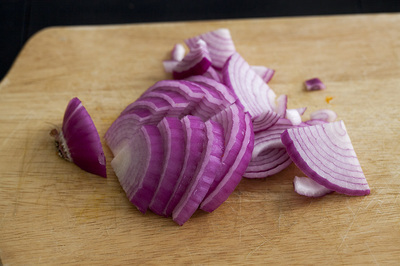 Cook Time: 30 min. 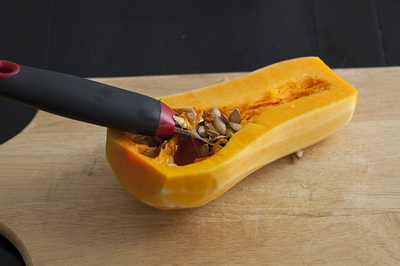 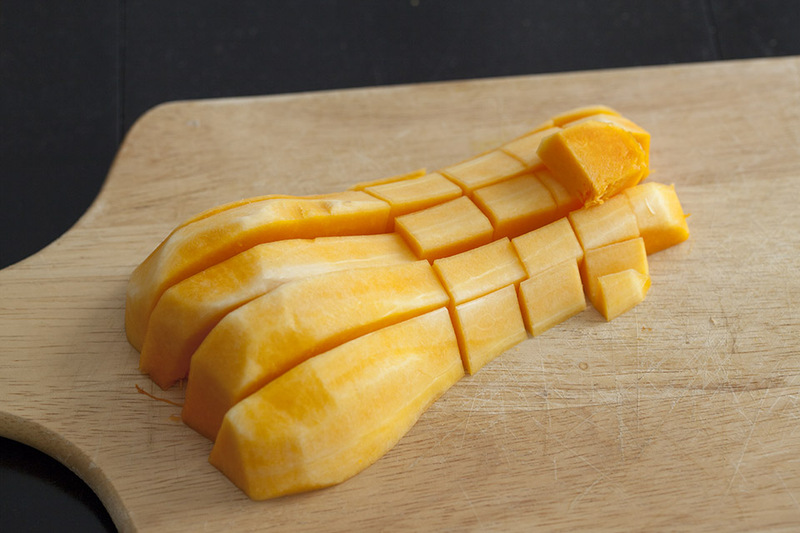 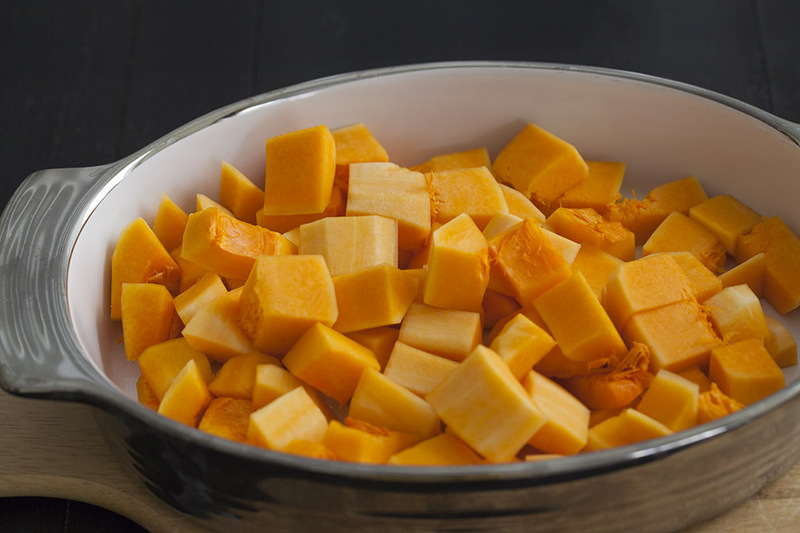 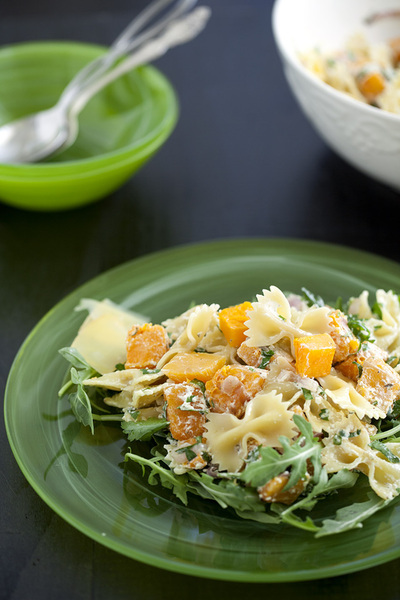 Peel butternut squash with a vegetable peeler and halve the squash lengthwise. Using a spoon, scoop out and discard seeds. Cut into 1/2 - 1-inch cubes. 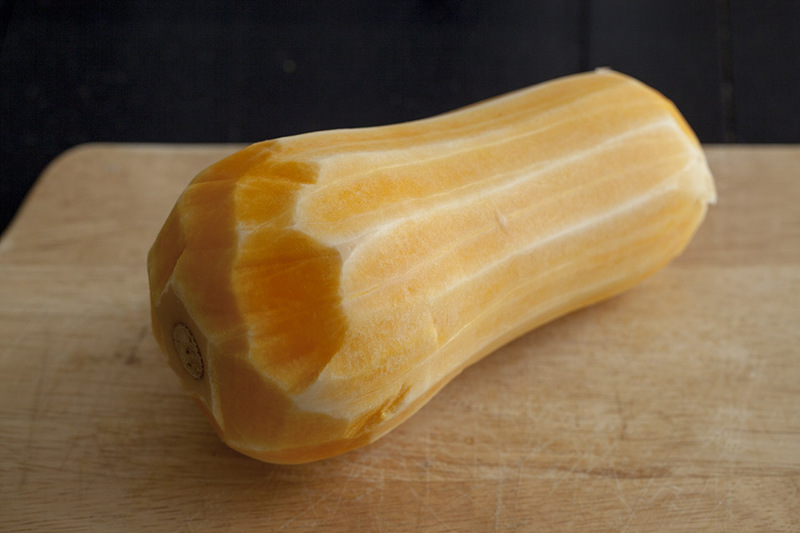 Transfer to a large roasting/ baking pan. Toss with oil, salt and pepper and spread out in a single layer. Roast, tossing occasionally, until just tender and golden brown, about 20-25 minutes. 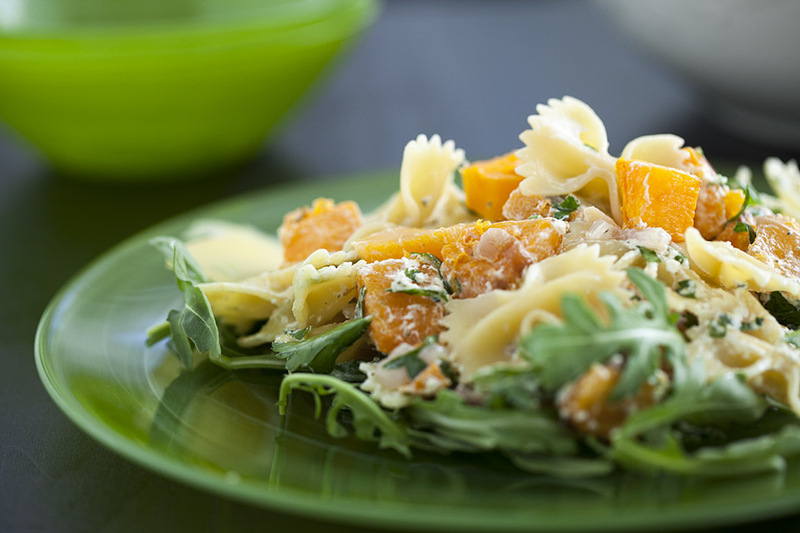 In a large pot of salted water cook pasta according to package directions, then drain and reserve couple tablespoons of water. 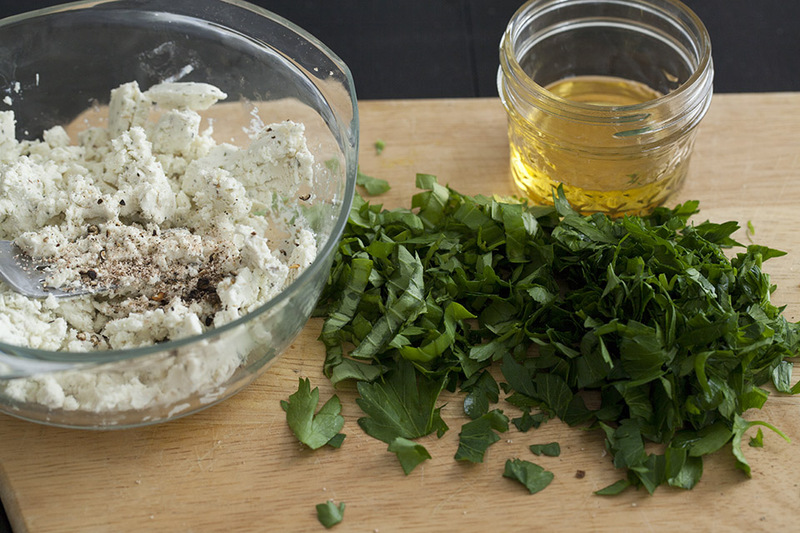 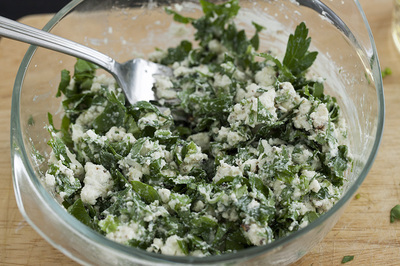 In a medium bowl, combine goat cheese, chopped parsley, basil, nutmeg and olive oil and add resaved water from past if sauce is too thick. 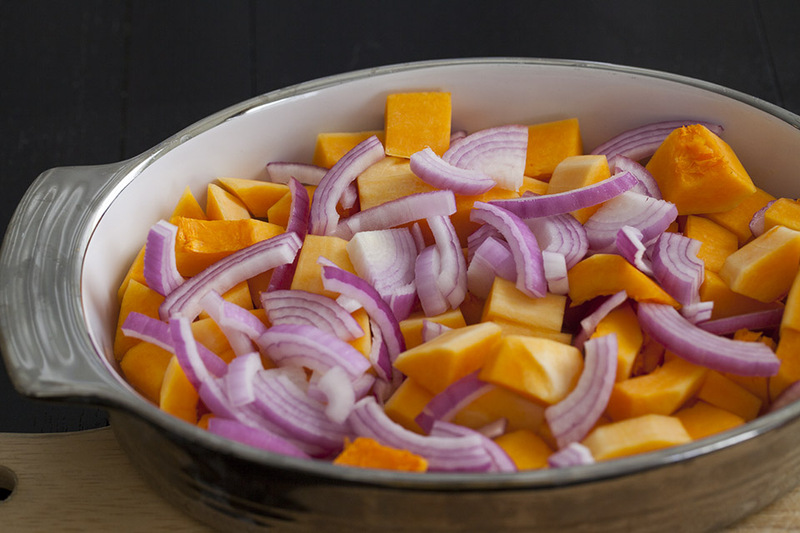 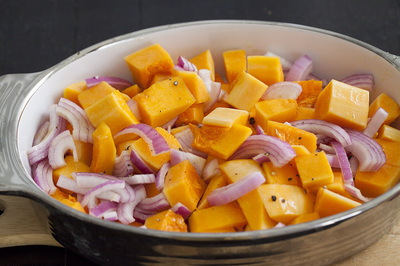 Add sauce to hot pasta along with roasted butternut and onion. Toss well and check the seasoning. 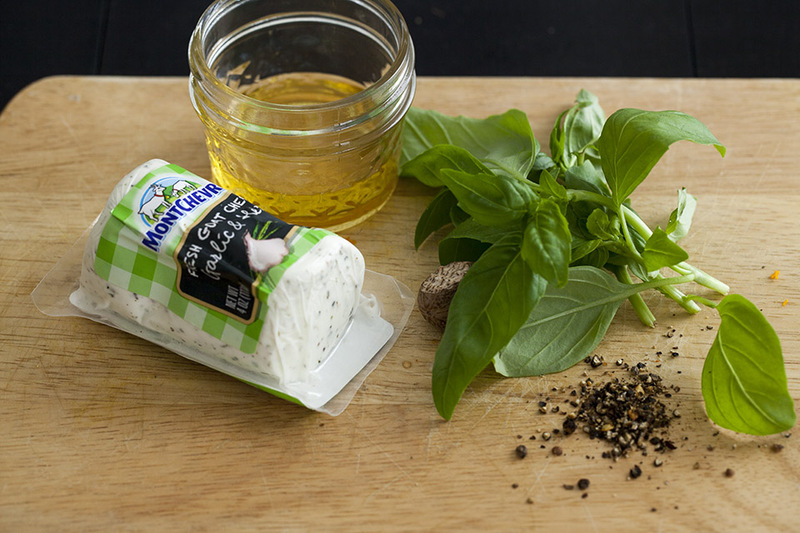 Finish with a drizzle of extra virgin olive oil.